Pride of the railroad, these gleaming engines pulled the San Francisco Chief, Super Chief, El Capitan, and other Santa Fe streamliners for decades. Several authentic details have been newly tooled for added realism, including a 48" dynamic brake fan, a brass Nathan five-chime air horn, and separately applied late-style water fillers on both A and B units. 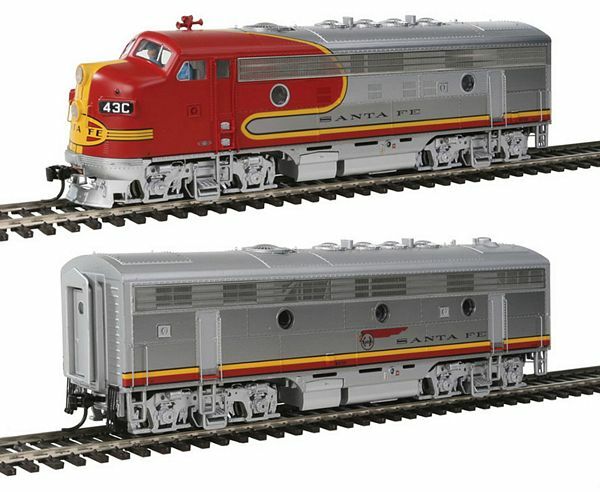 A must for any Santa Fe modeler, each engine is finished in classic Passenger Warbonnet colors highlighted by a plated metal finish, and available with with Tsunami(R) sound for operation on DCC or DC layouts.